Shop at AmazonSmile and Amazon will make a donation to Robotics And Beyond! Log in directly with AmazonSmile (smile.amazon.com/ch/20-8821398) or follow the steps below to sign up. Step 1: Visit https://smile.amazon.com/ and create an account or sign into your regular Amazon account. Step 2: Type “Robotics And Beyond” in the charitable organization search bar and hit return. Step 3: “Robotics And Beyond” will appear as a possible match for your search on the following page. Select “Robotics And Beyond”. Step 4: Congratulations! You are now signed up for AmazonSmile! 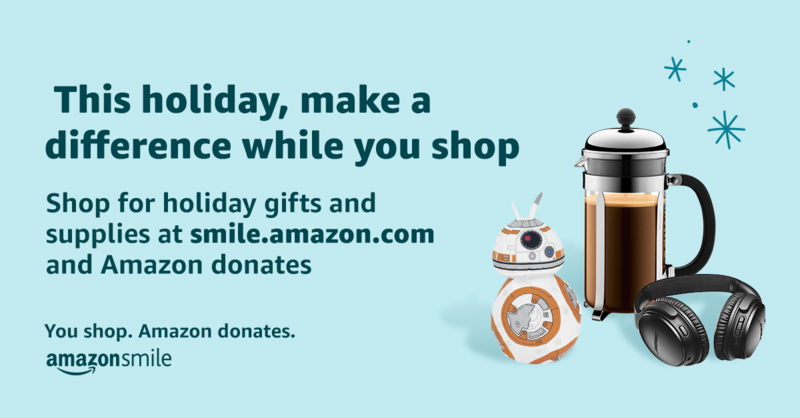 All purchases made through AmazonSmile will donate 0.5% of the purchase price to Robotics and Beyond. Please make sure that you are logged into smile.amazon.com (not amazon.com) when you are making purchases. Thank you for your support!